Some brand restrictions apply, but check it out here! Email Exclusives! Sign up now! Sign up and get the latest exclusive offers immediately! Order $100 or more right now and get $10 off with this code! Look all over for select items that are free shipping! Sitewide coupon for 15% off! Free shipping on an order over $39! Spend $50 and get 15% off! Premium brands are 10% off. Select premium brands are at 10% off. $150+ orders get 5% off! Spend $150 or more and you'll get 5% off with this code. Spending $100 or more? Get 15% off. Use this coupon code to get an extra 15% off your $100+ order. $15 off orders over $250. Save $15 off on orders over $250. 15% off Evan Fischer products! Orders of $100 or more on Evan Fischer orders save 15% off! 15% off on Kool-Vue orders of $100 or more! Spend $100+ on Kool-Vue products and you'll save 15% off! 15% off replacement part purchases! Did you break something? Orders of $100+ on replacements parts get 15% off! 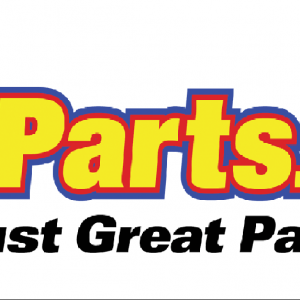 Carparts.com is an online auto parts and accessories retailer. It was founded in 1997. CarParts.com’s headquarter is in Carson, California, USA. On their website, customers can find various auto parts and accessories which are divided into four main categories: Auto Body Parts and Mirrors, Engine and Drivetrain, Headlights and Lighting, and Brakes, Suspensions, and Steering. To provide ease and convenience for customers, each main category is divided into subcategories. Customers can use the subcategories filter to shortlist the items they offer on CarParts.com’s website. Apart from subcategories, other filters CarParts.com has on their website are price ranges and brands. Customers can choose from a long list of brands, and determine their budget plan for the shopping. However, the most unique feature of CarParts.com is “Find My Parts”. With this feature, all customer need to do is insert the year of their vehicle, the brand of their vehicle, the model of their vehicle, the sub model of their vehicle, and lastly the engine of their vehicle. After inserting all those information, CarParts.com will give customers a list of products which are recommended for their vehicle. All customers need to do next is make the list even shorter using the auto part type budget filters. After customers have found the car part they need to purchase, customers will need to place the item into their shopping cart. With the CarParts.com shopping cart, customers can purchase more than one item. In addition to that, customers can also review the items before making the purchase. In addition, customers can check the total price of all the items they have in their shopping cart. Once customers feel that they have all the items they need, checking out would be the next step. By clicking the checkout button, customers are lead to the shipping information page. On that page, customers are required to fill in information. The information customers will need to provide is their country, first name, last name, company (optional), address, city, state or province, zip code, phone number, email address, and billing information (bill to shipping address or other address). Please note however that CarParts.com does not ship to APO / FPO addresses. An important note for customers is that for checks, money order, and bank wire transfers there may be a delay in the processing of their order. Redeeming a coupon is very simple for customers of CarParts.com. All customers need to do is enter their coupon code in the “enter coupon code” field. The coupon code field can be found on customers’ shopping cart. It is underneath the list of items customers wish to buy. For first time buyers at CarParts.com, a 5% discount is offered if you subscribe CarParts.com. Please note however that the purchase the customer makes has to be over USD 150. There are numerous ways to get in touch with CarParts.com. Probably the easiest is by directly contacting them by phone, 1-877-702-1308, and by sending them an email at privacy@carparts.com. On CarParts.com website, customers can also opt to go the “Feedback” tab. This feedback option is for customers’ feedback on CarParts.com’s website. The goal is to help improve CarParts.com in ensuring their customers get the best shopping experience. On this page, customers are required to select the type of feedback they want to give CarParts.com regarding the platform on their website. After that, customers can write down their feedback in the provided comment box. Apart from the Feedback tab, customers of CarParts.com can also choose to go to the Contact us page. On this page, customers just need to fill in their name, their email address, the department, their order and part number, and their message. Refunds are normally processed within 2-3 business days. After a customers’ refund request has been processed, customers will receive their refund by the same method that they used to purchase the items. Customers will receive a “Credit Approved” email the same day they receive their refund. Please note that for purchases made through credit and debit cards, it may take up to 7 business days for the refund to arrive in the customer’s bank account.